Bengal tigers and Asian elephants are both listed as Endangered. There are just 2 500 wild Bengal tigers left globally; most in India, and around 235 in Nepal, including some that roam between the two countries. The number of Asian elephants is uncertain, but will have declined since the most recent estimate of 40 000-50 000 in 2003. Around 150 elephants live in Nepal and the border area with India. Why are Bengal tigers and Asian elephants threatened? Both species need to roam across large expanses of forest and grassland, which is being rapidly lost to agricultural expansion, and divided by roads and infrastructure. Swathes of potential habitat can no longer support tigers, as over-hunting of deer and boar has left insufficient prey. Small populations in fragmented patches of habitat become less and less viable, as genetic diversity can no longer be maintained. Tigers and elephants prefer to avoid contact with humans, but as they are squeezed into smaller areas, there is a greater likelihood of ‘human-wildlife conflict’: competition between people and wildlife for resources. Across the Terai Arc Landscape, much of the rapidly growing human population live well below the poverty line, dependent on forests for fuel, fodder, timber and grazing land. Human-wildlife conflict can lead to predation of livestock, damage to crops and buildings by elephants, and deaths and injury for humans and animals alike. Elephants and tigers are also deliberately poached for the illegal wildlife trade: tigers for their skins and for body parts for bogus medicines, and Asian elephants for ivory and – a newly emerging threat – their skins. 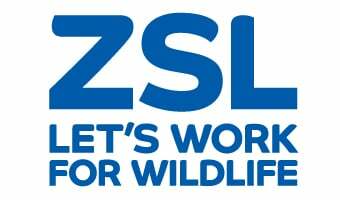 What is ZSL doing to help? Protecting Asian elephants and Bengal tigers is a major challenge. ZSL focuses on the Terai Arc Landscape: a narrow strip of plains, forest and lowland hills, running for 700km below the Himalaya, linking Nepal and northern India. Despite a high density of human habitation and significant wildlife trafficking routes, this landscape is home to exceptional biodiversity and provides the last great highway for wildlife in this region. Effective conservation means protecting core breeding areas, while also working collaboratively for 'connectivity conservation' to enable tigers and elephants to disperse across the Terai Arc Landscape. ZSL is working with national governments in five protected areas across Nepal and India: the 2 000 km2 Chitwan-Parsa complex (made up of Chitwan National Park and Parsa National Park, home to around 135 breeding tigers), Suklaphanta National Park, Bardia National Park, Banke National Park and Nandhaur Wildlife Sanctuary. To tackle poaching, we have built four guard posts and three watchtowers, provided solar power to 63 guard posts, and set up Rapid Response Networks (surveillance cameras in the forest automatically send images to command centres, which assess these, and can send out a rapid response team to protect wildlife and arrest poachers). Camera traps monitor tigers and their prey across 2 451km2. ZSL engages communities in combatting wildlife crime, including establishing 35 Community-Based Anti-Poaching Units. We have also trained 400 rangers in SMART patrolling, helping them log data on wildlife and threats, analyse this, and use it to inform conservation decisions. As a result of these collaborative efforts by ZSL and our partners, tiger numbers in Nepal are now stable or growing in five core protected areas, and Nepal is on track to achieve its goal of doubling its tiger numbers by 2022. For elephants and tigers to thrive and disperse safely between core areas, people that live in these forest corridors must be supportive of conservation, and see benefits from coexistence with wildlife. Terai Arc communities have a long history of living in harmony with their wildlife. Villages around Chitwan National Park have benefitted from ring-fenced eco-tourism revenues, and across Nepal many rural communities have robust rights to manage local forests, through Community Forestry. With our partners, ZSL is reconnecting habitats through a matrix of community-managed corridors. This combines support to sustainable local livelihoods, with involving communities in conservation and reducing the risks of living alongside wildlife. We have helped communities build hundreds of predator-proof corrals for goats and cattle, and set up early warning systems to protect livestock and crops. Sustainable, equitable use of grasslands benefits many species. Alongside this, almost 3 000 local people have benefitted from livelihood interventions such as micro-loans schemes and cooperatives that enable women to save, to invest in increasing the productivity of livestock, and to market dairy products. We have helped create almost 100 additional jobs in ecotourism. The Nepal and Indian Governments have made international commitments to double their tiger populations, and are deeply committed to the recovery of this iconic species. To support this, we bring stakeholders together; push for infrastructure decisions that protect biodiversity and support community-managed forest corridors; provide new technologies (such as a secure database for all intelligence collected on poaching in Nepal); and raise awareness on tiger conservation, reaching over 3.5 million people.